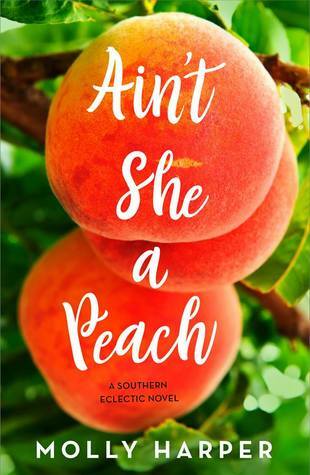 Description: An Atlanta ex-cop comes to sleepy Lake Sackett, Georgia, seeking peace and quiet—but he hasn’t bargained on falling for Frankie, the cutest coroner he’s ever met. My Impression: This was a fun quirky tangle of a book that tackled some very serious issues without distracting from the fun or the seriousness. I love the McCready family with all their quirks, issues and long running jokes. This time the focus is on Frankie who with her purple and blue streaked hair and somewhat morbid job is probably one of the quirkier members of the family. Except her respect for the dead and her efforts to help and protect both the deceased and their families doesn’t make her job seem all that morbid. It actually comes off rather sweet. New interim sheriff Eric is not quirky or morbid and is actually probably on the straight laced side. He and Frankie have a little bit of a history which leads to some tension which is pretty entertaining. Watching Eric try to navigate the McCready family’s rapid fire speech made me laugh more than once and I think I enjoyed watching Him and Frankie pretend nothing was between them almost as much as the McCreadys’ themselves. Both characters have pretty serious back stories and watching them get to know each other was very sweet and genuine. The plot involving local delinquent Jared added a bit of interesting conflict and got quite a bit of the town involved. I found it entertaining and not too distracting with a satisfying conclusion. There is some real conflict between Eric and Frankie and I loved that not only did both screw up but they both apologized which doesn’t happen nearly enough. This is a fun quirky romance that was a delight from start to finish and since it is peach season here had me wanting peach pie! Would I Read More of this Series/Author? Yes! I’m thinking Duffy’s book is next? I’m hoping? Would I Recommend this Book? If you enjoy fun contemporary romance this is one you shouldn’t miss. As I read your review it began to feel familiar - Sweet Tea and Sympathy right! I've read it I think thanks to you. Oh this one sounds like a must! I've been enjoying this series and my uf kick made me lose track of releases. I will be grabbing this one soon. Glad to see you loved it. When my husband was reading Jack Reacher there would be a mention of peach pie and let me tell you, that's all we thought about. So of course we had to get one. I hope you are on the mend and I know you will get lots of reading time in! I really enjoyed the first book in this series as well - looking forward to picking this one up. I loved Frankie in the first book, can't wait to have her be the main character :) Great review! I really need to read the first one. They both sound great. This is a new to me author. I don't know if I'll end up reading the series, but it sounds good. "the cutest coroner he ever met" - sounds fun :) Adding it to the tbr list. I read the prequel novella for this series and did enjoy it. It sounds like I need to get busy with the rest of the books. I do love her quirky characters. Glad you enjoyed this one. This soonds like a really fun summer read. As you were describing the characters I was thinking to Stephanie Plum's dysfunctional family. I'll definitely be giving this on a try. thanks for the heads up. I love the sound of this! I already like Frankie. I need to add this to my wish list! Sounds like a fun one. I'll be checking it out on GR.